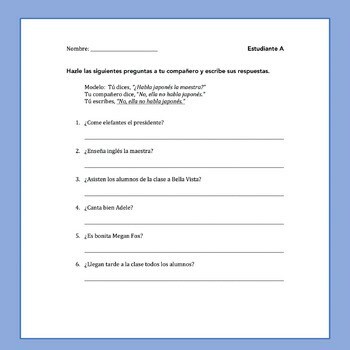 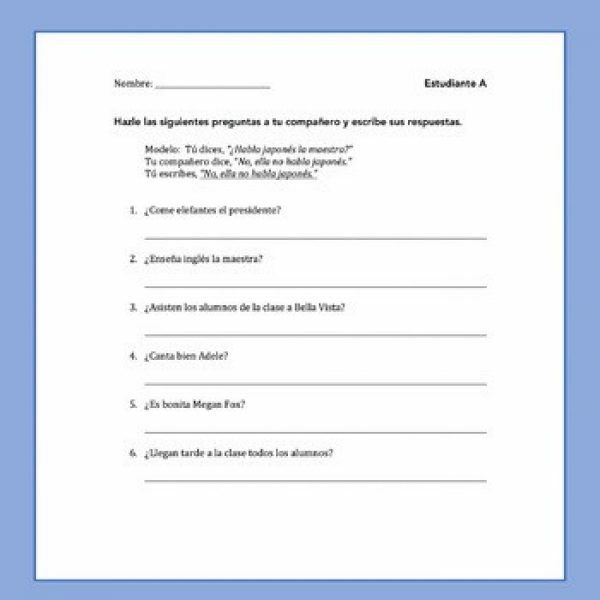 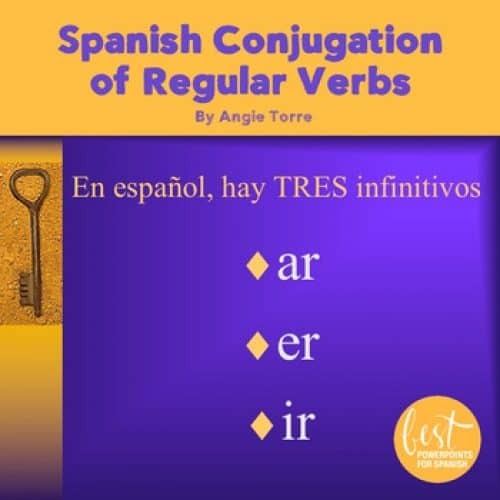 There are two speaking activities in which student practice asking and answering questions in Spanish. 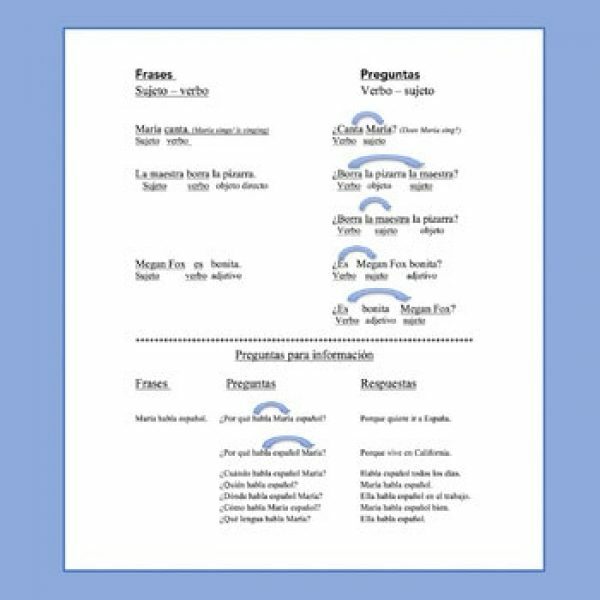 They use the inverted structure for yes/ no questions and interrogative question words to ask for information. 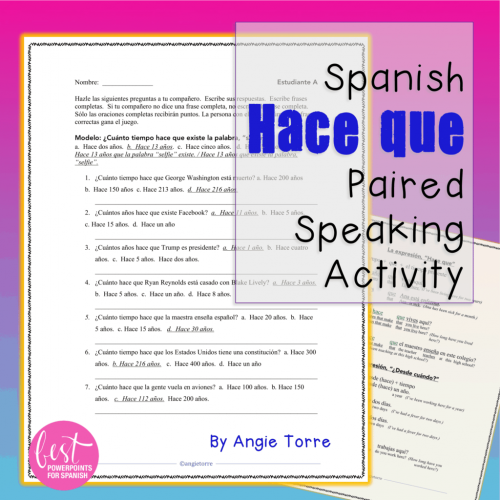 They practice listening, speaking and writing Spanish questions.